Have you ever toured Butchart Gardens in Victoria, British Columbia? Although I am allergic to floral scents, the beauty of this place was worth my suffering in order to see these gorgeous creations. Hummingbird in the Cloud Forest of Ecuador. 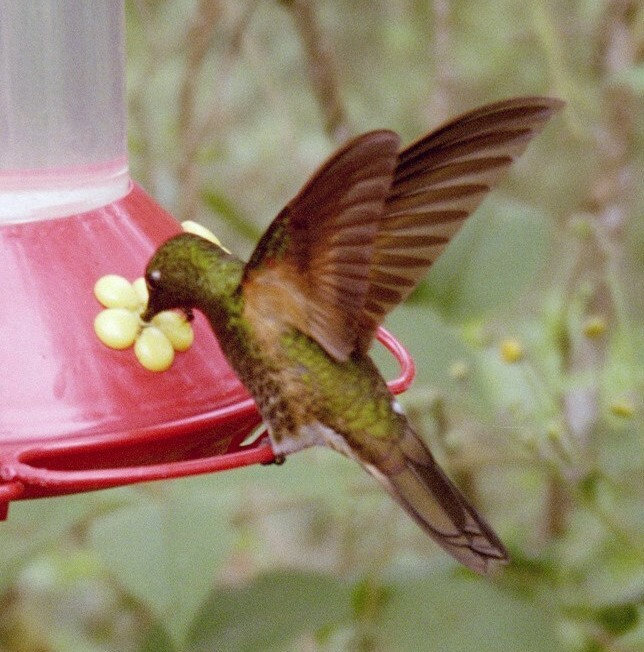 Later in the Cloud Forest of Ecuador I heard the buzz of multitudes of hummingbirds surrounding the sugar feeders at a mountain retreat. The iridescent hues of green and red flashed as they hung in the air while sipping the nectar. Jesus tells us that God cares for us even more than these beauties. He cares for us in the sense of providing for us, and He cares for us in the sense of having love and concern for us. God could provide for our needs with a few dull basics, but He gives us this beauty for our enjoyment and to remind us of His love for all of His creation. And He is not selective about those whom He blesses with earth’s bounty. Jesus said God “causes his sun to rise on the evil and the good, and sends rain on the righteous and the unrighteous.” Matthew 5:45. Although He could chose not to provide for those who rebel against Him or don’t even believe He exists, He does anyway, to demonstrate His vast wisdom and power and love for us. Our response should be gratitude for God’s provision for us, and trust that He will do so. Sadly, sometimes I sight of these principles. Why? I’m not sure. Probably I just get caught up in the day-to-day grind and fall into the trap of thinking I am actually earning my keep. But I need to remember that we can plant seeds in the ground, give them water and fertilizer, but only God can make them grow. Without His providence our labors are for naught. Second, I need to remember my value in God’s eyes. As Jesus stated, we are much more valuable than birds and flowers. When we see that God takes care of them, why should we doubt that He cares for us even more?